The big data movement is in full swing. How your organization manages and uses data is more important than ever these days. Data has been shown to help predict epidemics, cure disease, improve quality of life, and avoid preventable deaths. With this new reality, healthcare organizations have been quickly moving to adopt and implement data analytics technology solutions. Most organizations think that these tools will help them stay on the leading edge of change. However, it’s not the technology that ultimately leads to success. The key condition for a data-driven organization is a culture that embraces the enormous value of its data. The biggest challenge an organization faces isn’t creating the dashboard. Often, it’s getting people to use it. What does data-driven culture mean? It means staff at all levels use data as a part of their everyday (clinical, operational, financial, etc.) decision-making. By adopting a data-driven culture, an organization is better equipped to find and address the waste in care processes, while making quality improvement interventions more effective. In a data-driven culture, staff seeks out data to help achieve goals, and data takes a more active role in measuring quality and success. Simply put, a data-driven culture bases decisions on numbers, not on gut feeling. However, it’s one thing to build an analytics application; it is quite another to get people to use it. The reality is that not everyone is ready to embrace data. While most people focus on the technology, the best organizations recognize the need for a culture based on the technology. The five core competencies of a data-driven culture. 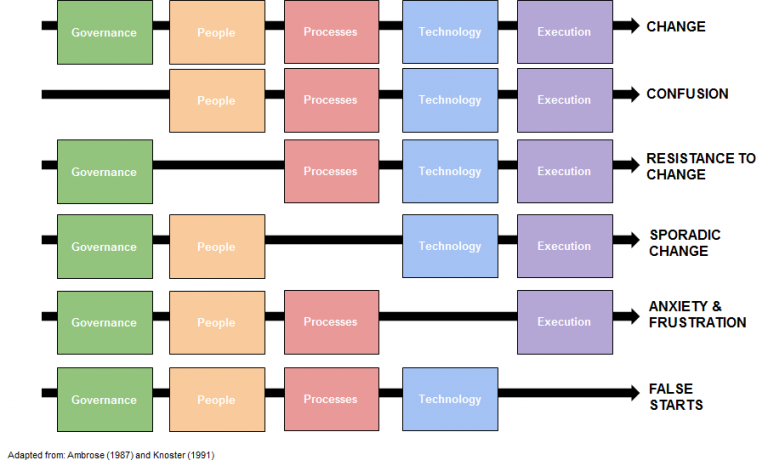 Once all five competencies are in place, an organization can start moving toward the changes they are trying to make. The key here is to have each piece in place to give your project the best chance at success. When all five competencies are met, your organization will learn how to discuss data—how to hear what the data might be saying rather than just enlisting it as a weapon in organizational politics. Your staff will be able to relate their daily activities to the bar charts, dashboards, and other performance visualizations displayed throughout the organization or in team meetings. There will be transparent access to information that was once siloed. However, if you are missing even one of the five competencies, you end up with problems. Too often, we see problems with organizations that force their staff to use data. These organizations go to great lengths to create dashboards, automated daily reports, human-crafted email summaries, and print copies of data for each employee—only to learn how rarely people use them. These efforts have limited success because they don’t address the core challenge, which is a lack of a healthy data-driven culture. 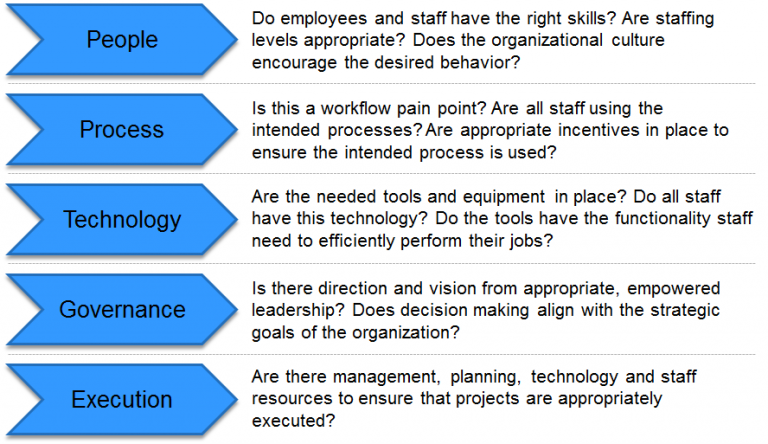 How do I know if my organization is meeting the five competencies? The Data Readiness Assessment evaluates your organizational agility, capacity for change, and readiness to adopt a data-based culture. This assessment determines where your organization is today along the Data Spectrum and provides a roadmap to strengthen your five competencies to get you where you eventually want to be. By not assessing data readiness, organizations risk failing before they even get started in their adoption of data analytics. Building a data culture requires persistence and patience. Starting your journey towards Big Data can be daunting, but it is important to start with a strong foundation. Your data-driven culture won’t happen overnight with a purchase of a new technology system or a mandate from senior leadership. Given the pressure to improve care and reduce costs, it will be tempting to bypass the efforts needed to cultivate a data-driven culture and pursue cutting edge technology solutions instead. The truth is, building a technology infrastructure is relatively easy. The challenge lays in proactively creating a culture that is data-driven—one that makes data a part of everyday decision-making. Transitioning to this culture will require dramatic change for your organization, but the first steps toward that end can be a simple one—determining the health of your culture today. Even if your organization isn’t yet ready to launch a full data-culture program, it can begin to proactively lay the foundation of core competencies to build a data-driven culture.